I know, I know, this has been a weird week post-wise. It was a holiday weekend in the US and Canada, so I was going to do my holiday schedule (Tuesdays and Thursdays), but then I got the info for this awesome Target giveaway that starts today. So, here we are, with a Sunday/Tuesday/Friday schedule. Anyway, back to Target. The only reason why I don’t have a whole bunch of random things from there – or, rather, a whole bunch more of random things – is because I live in the city and it isn’t easy to get to a Target just for fun. But that doesn’t stop me from drooling over the many great things they have for fall. Disclaimer: Some of the links in this post are affiliate links, meaning I receive a small profit if you click on them and purchase something. For more information, check out my disclosure policy. Thank you for supporting Kate the (Almost) Great! To me, what’s great about Target is that you can get great trendy (and fun) things without spending a lot. In fact, that’s probably everyone’s problem with Target, because then you have that mindset and end up spending a lot of money … anyway, wouldn’t it be great if you won $200 to Target and could get whatever you wanted? 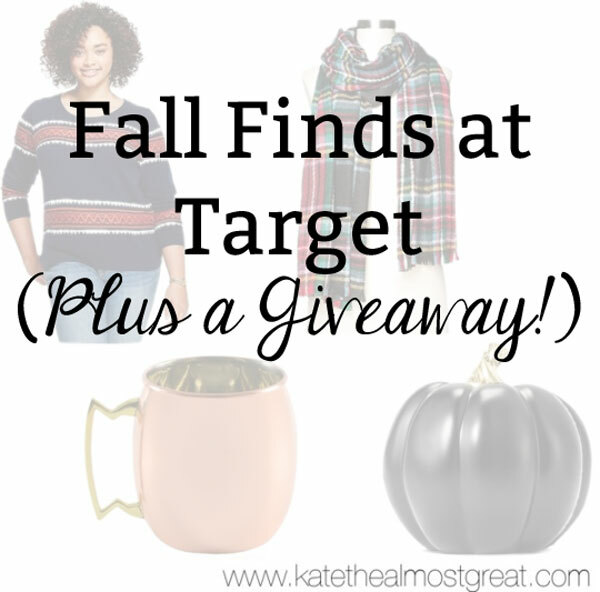 Here are some a couple of fun fall finds that you could get if you won. Check ’em out and enter below! Good luck! 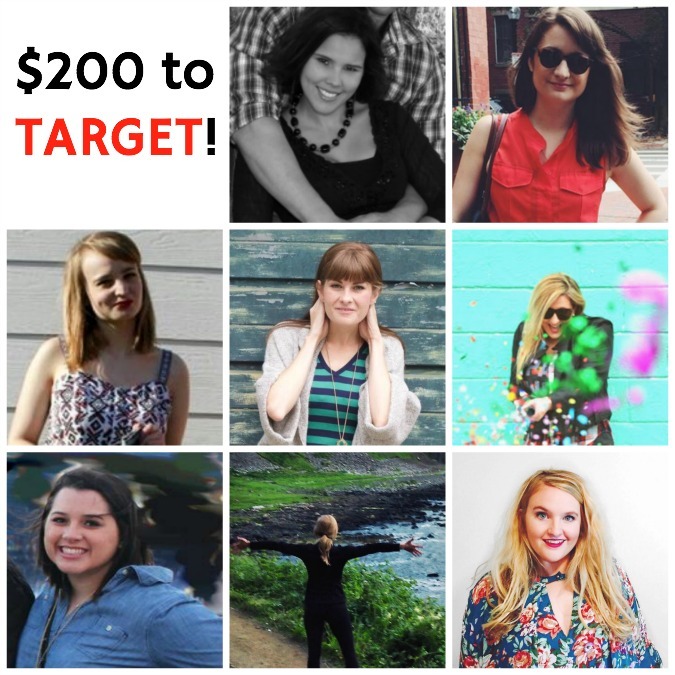 I’ve teamed up with 7 other wonderful bloggers to give you a $200 Target Shopping Spree! Because you’d look really good with some new fall booties, blanket scarf, and well everything else that Target has to offer. Enter in the Rafflecopter below.